A new Broken Yolk Cafe. Courtesy of the company. 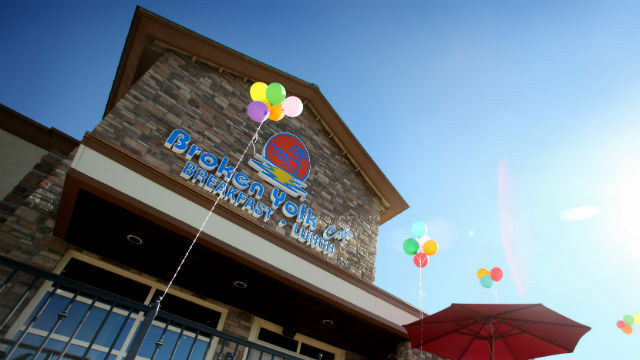 The Broken Yolk Café has announced that it will open a restaurant near San Diego State University, in its first location serving the campus, said a Broken Yolk restaurant official. This brunch spot will open January, 2017 in the new South Campus Plaza at the corner of College Avenue and Montezuma Road near SDSU. The South Campus Plaza includes residence halls for over 600 students and retail spaces. As the new restaurant will be close to SDSU, this restaurant will cater especially to the college lifestyle, by staying open late and offering more on-the-go meals. “Campus and campus-adjacent locations call for a few tweaks. Guests will recognize many of the popular entrees they know and love from our other restaurants, but we’re adding a stable of hand-held, easy-to-eat-while-running-to-class items,” said Broken Yolk Café’s Vice President of Franchise Development, Valerie McCartney, in a statement. Students will have the option to eat food both in the traditional style and a modified casual format.